One of the things I like best about writing fantasy is the ability to create my own world. I am in control of everything – names of cities, geography, culture, religion, systems of magic, history, creatures, everything. I believe one of the most important things is to develop your world BEFORE you begin writing. You need to be familiar with your world so that the details remain consistent and logical throughout your novel. Your world is the backbone of your story. It needs to be believable and the only way to accomplish this is to spend some time designing it. You will put a whole lot more work into it than your reader will ever see. But this work will pay off. Your characters will really LIVE in this world, and your readers will believe it. But creating your own world is a daunting task. Where do you even begin? There are numerous books and websites that can help you with creating your own world. They walk you through anything from creating your own language (something I have never done) to creating creatures (which I did in my trilogy). I started creating the world for Summoned: Book One of The Elemental by drawing a map of the world – or at least the areas that are in my novel. Of course, every country (or Land, as they are referred to in my trilogy) must be named and of course, a few cities. In my case, I only named the capitals of each Land and left smaller villages without a name. I also figured out the time it would take my characters to travel to different places first by horse and then on the back of a dragon which is a much faster way to travel. You don’t want it to take them a week to get to the capital but only two days to return home. Your readers will notice. Everything has to do with being consistent. Small details do matter. They can make or break your fantasy world. 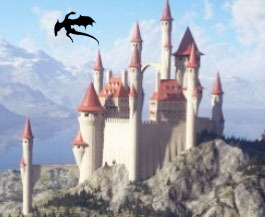 I don’t plan to go into everything you need to create a fantasy world, but I will be writing posts on dragons, magic, creating creatures and a few other world building topics. If you are looking to create your own world for either a fantasy or science fiction novel, I would recommend checking out the following websites for help. This entry was posted in Writing and tagged fantasy, novel, world building, writing.